Personal wellness begins with how we nourish ourselves. The nutrients in our food are the building blocks that allow our bodies to perform each and every daily task. What we choose to eat – and not eat – is then essential for our wellness, productivity and vitality. In our increasingly toxic world, our food choices have never been more important, but it is often an overlooked aspect of one’s health plan. At Vitalia, we take a holistic approach to health by offering our clients an opportunity to consult with a Nutritionist. 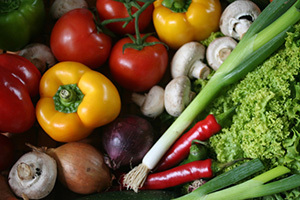 What can our Holistic Nutritionist offer you? Our Vancouver Holistic Nutritionist can support you with specialized diets such as the Low FODMAP Diet, Specific Carbohydrate Diet, Paleo and plant-based diets, as well as identify a nutritional approach that is supportive to your unique needs and conditions – as determined by a doctor. Changing one’s diet can often be a challenging endeavour. At Vitalia, we support our clients through the struggles to help them achieve their dietary goals with ease. Work with a nutritionist who supports who you are, your tastes, your pleasures, and gets you where you want to be. Jessica Mosiuk, R.H.N. Jessica was inspired to become a Registered Holistic Nutritionist after her own experiences with chronic digestive issues. After years of medical visits and inconclusive tests, she finally discovered the root cause: her diet. From there, she delved into the world of holistic nutrition and found her passion in helping others thrive through food. Her simple and sustainable approach to nutrition and wellness will guide you back to you optimal health. Do you suffer from indigestion, heartburn, bloating, constipation, irritable bowel, abdominal pain, leaky gut and other gastrointestinal issues? Do you think these are conditions that you just have to live with? If so, consider this: you don’t. In fact, these tummy upsets are your body’s way of trying to tell you something. Your health begins in your digestive system, and as one of the main entryways into the body and host to the majority of our immune cells, caring for the digestive system should be top priority to achieve long-term health. When you support your digestive system, it sends a ripple effect throughout your body that positively supports all your other body systems as well. Book an appointment with our Holistic Nutritionist, Natasha Asselstine, to find out what you need to do to achieve a healthy digestive system. One of the most profound experiences as a nutritionist has been witnessing the positive impacts that the right nutrients have on the brain and our mental health. There is a particularly strong connection between our gut and our brain, and people with special needs and neurological conditions deeply benefit from the right nutrition – including those with autism, ADHD and depression. No, it’s not easy to implement dietary changes – particularly for youngsters. But it can definitely be made easier and doable with the right support. Book an appointment with our Holistic Nutritionist, Natasha Asselstine, to learn easy, delicious and effective ways to introduce brain-friendly foods into your child’s life. Did you know that one of the top factors in pregnancy outcomes is the nutritional status of the mother-to-be? By prioritizing your nutritional intake (and more importantly, ensuring your body’s ability to absorb them!) is one of the best things you can do to support a healthy baby and healthy self. Book an appointment with our Holistic Nutritionist, Natasha Asselstine, to learn just what the mother-to-be and baby-to-be need to thrive. Do you have trouble losing weight no matter how strict you are with your diet? Do you feel incredibly frustrated, defeated and doomed? If so, check the health of your thyroid. Our thyroid is the gland in our body that supports metabolic function, and so if it isn’t functioning optimally what may result is unwanted weight gain, and (what seems like) the inability to lose weight. The worst part? There are many toxins in our environment and phytonutrients that impact thyroid function and should be avoided if our thyroid gland needs support. Book an appointment with our Holistic Nutritionist, Natasha Asselstine, to learn about the foods and lifestyle choices that feed the thyroid gland. Are you a “hangry” person? Do you get irritable, angry or emotional when you haven’t eaten for sometime? Do you experience intense cravings, fatigue, dizziness, PMS? These may be symptoms of low blood sugar. Why is this important to know for our health? The reason is that imbalanced blood sugar is a pre-condition to type 2 diabetes, so for long-term health it is essential to balance your blood sugar and put “hangriness” behind you. Your loved ones will thank you. And guess what? It’s not hard. 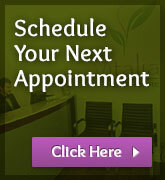 Book an appointment with our Holistic Nutritionist in Vancouver, Natasha Asselstine, to learn how. It is a common misconception that PMS is a normal experience for women. While it may be common, it’s not exactly how a woman is meant to experience her cycle. In fact, specific symptoms of PMS (bloating, nausea, cramps, bowel issues, acne, emotional outbreaks, back pain, clotting, heavy flow) can be indicators of specific nutrients that are lacking in your body. So instead of loathing your period and the PMS that comes with it, start paying attention to how you’re feeling and get curious about what your body is trying to tell you. To learn more about balancing hormones with nutrition, book an appointment with our Holistic Nutritionist, Natasha Asselstine. A lot of us look forward to summertime meals and treats when the nights get shorter and the days get longer. There are the barbeques on the beach, fish and chips at the pier and ice cream at the park. Not to mention all the deep-fried unmentionables at the PNE and weekly food truck festivals all over the city! While a little indulgence now and then is good for the soul, it can play havoc with our digestive system if we aren’t a little mindful. Acidity in the stomach is essential for breaking down heavy foods, particularly meats. 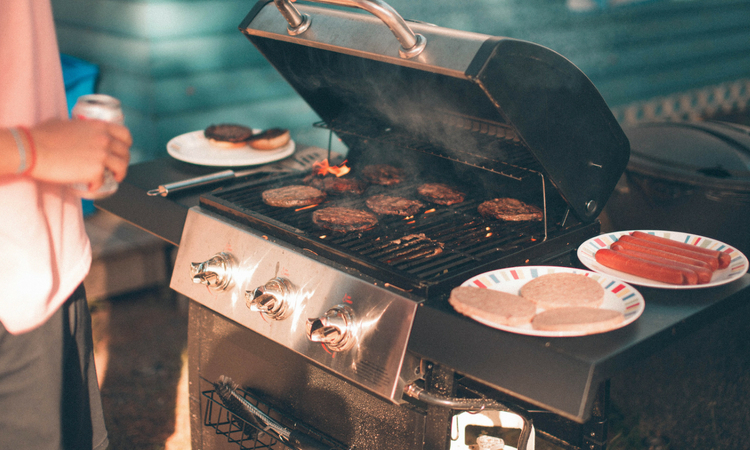 So if you’re enjoying a summer barbeque of steaks and sausages – and any other meat for that matter, be sure to prepare your stomach with a little extra acid. You can drink a tablespoon of raw apple cider vinegar in a cup of water five minutes before your meal, or you can pair your meal with a garden salad that’s been dressed with lots of fresh, lemon juice that will help to digest the meats with ease. If you enjoy an ice cream or fish & chips that leaves your belly feeling unwell (gas, indigestion, heartburn, irritable bowel, constipation), sometimes giving your digestive tract a break will give it the rest it needs to bounce back! The morning after a dairy-rich or deep-fried food, go on a short fast until at least noon to give your body time to clean up the digestive tract before introducing it to more food to break down. One of the best things about summer is the abundance of fruit that’s in season! I HIGHLY recommend indulging in all the delightful fruit that’s already available (cherries, strawberries, raspberries, and soon there will be peaches, blueberries and blackberries, too!) Fruit is high in fibre and a great source of antioxidants, enzymes and other powerful phytonutrients. However, try to enjoy fruit on an empty stomach. Fruit only takes 30 minutes to go through our stomach, so when combined with heavier foods that take much longer to digest like proteins (cheese, meats, eggs) and complex carbs (bread, pasta, baked goods, potatoes) what can result is indigestion, leaky gut and the development of gut bacteria and yeast that can lead to much greater distress for the body. The best time to enjoy fruit is in the morning on an empty stomach, and waiting at least 30 minutes before eating again. As always, don’t forget to enjoy every bite and chew REALLY well. Chewing sets your digestive tract up for success because digestion begins in the mouth: teeth mechanically break down food and saliva chemically breaks it down, too, and triggers the stomach to get ready to work. So give your food the time it deserves. What’s more is that the health of the entire body is impacted by the healthy of the digestive tract. The digestive system is one long tube that is actually EXTERNAL to our body. Therefore, it’s no wonder that this is where 80 to 90 % of our immunity resides! Having strong digestion supports the health of all body systems, including the endocrine, circulatory, nervous, muscular and reproductive systems. If you’re curious about how good digestion and proper nutrition can affect your skin, hormone, reproductive, muscular, or circulatory conditions, book a discovery call with me as I’d be happy to share some ideas on how we can work together to set you up for long-term, whole body success.